I wasn’t in a hurry to accomplish mission no. 016 (in decimal), because I’m an author of this mess ;) So in this post I will show “my intended solution”. Before we begin, I want to give a huge shoutout to my IRC mate, who have told me a lot about a SSTV and a ham radio. This inspired me to create this mission. Kudos to @fishcake! The rating of this mission was done by @Gynvael. So what were the orders? cannot help us. Your handler advised to use your skills. The fate of the Chunar rests in your hands! And remember - if something is not clear, you have a license to bruteforce. blogpost / post your solution / code online, please add a link as well! P.S. I'll show/explain the solution in a video in one or two weeks. P.S.2. This mission was brought to you by foxtrot_charlie! Let’s start simply by downloading a file that is located under a link shown in a mission description. Huh, a txt file with some weird encoding. If you scroll down, there is a = sign. Adding a charset the straight conclusion hits my mind. This is base64! Let’s decode it with commandline tool. This command will create binary file. 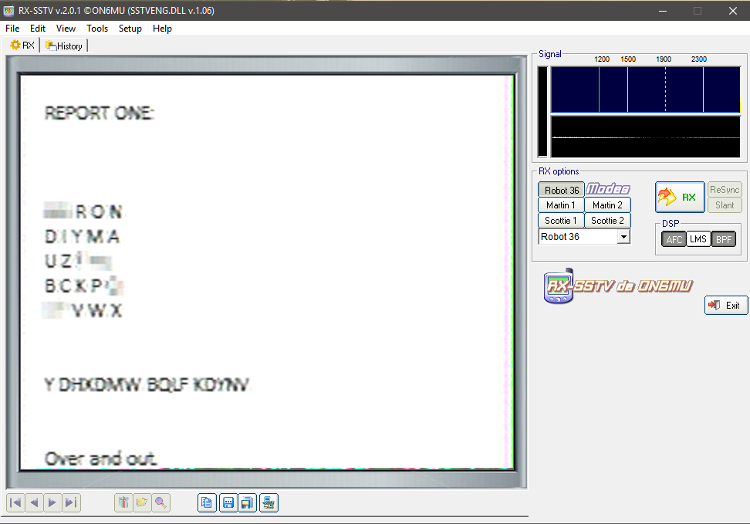 By file, a radare2 \m or simply a hexeditor we can identify this bytes as a wav file. So it’s a sound! Let’s play it! This is not the music unfortunately. 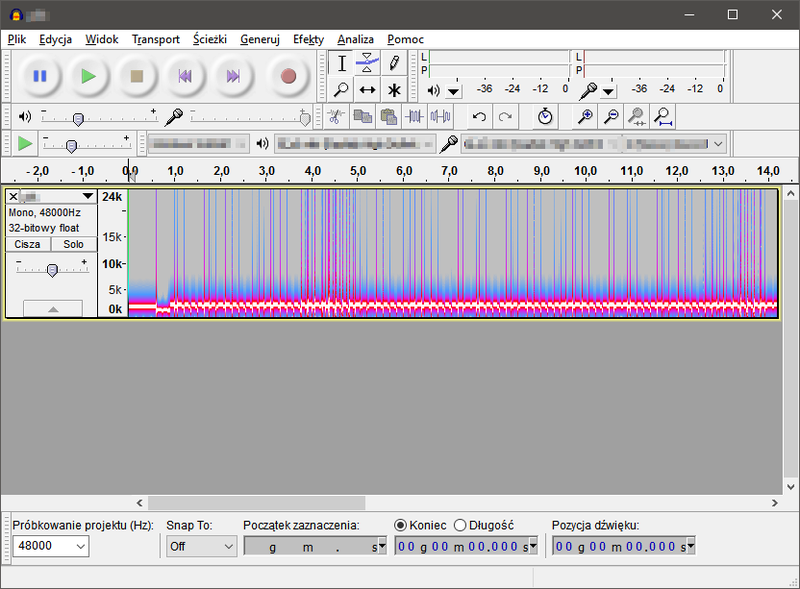 Let’s use audacity and search for some patterns in this file. Definitely there is a encoded message. But how to get it? This link should help. Searching by waterfall image shows that this characteristic pattern belongs to the SSTV (Slow-Scan Television). You can even play a sample file to be 100% sure with the identification. Honestly this was the hardest part of this task. Looking at weird codenames in the description also hints that the SSTV was used to encode image. U Z ? ? ? B C K P ? to decrypt password. The output of this program can be redirected to a file and then using some command like this fgrep -f "first-file" "second-file" with dictionary like rockyou.txt or simply trying to find the line that matches English words the most, the most English flag will be found. The flag is I ALWAYS PLAY FAIRX. 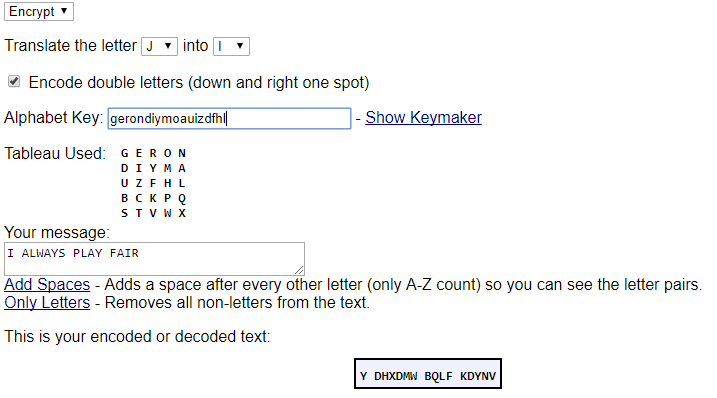 This X comes from the fact that the Playfair cipher needs even number of letters. That’s all. I hope you’ve enjoyed the mission. I had a lot of fun creating it! From this place I want to give kudos to Adrian Laskowski. He didn’t solve the mission (although he was really close), but he have decoded SSTV bare hand! Gratz, I’m impressed! 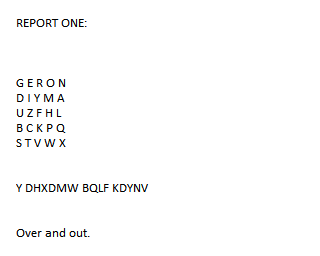 And kudos to all of you, who solved the mission ;) Thank you for your writeups!